Find free classifieds for For rent for sale or to buy in Karnataka. FREEADS in India offers you a platform to post free advertisements or classifieds for For rent, Karnataka. FREEADS in India helps you search, find, buy, sell, rent or hire in various categories like apartments, goods for sale, local services, cars , jobs and many more in Karnataka. Shown below are ads available in For rent, Karnataka. You can use search box above to refine your search. A well-presented 3BHK flat available for rent from mid of May 2019 with close access to IT hub of Electronics city. 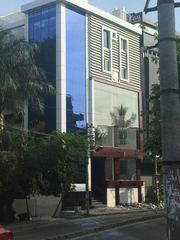 Situated in a calm, well ventilated and serene location First floor, 1359 Sq-ft, North facing Covered car parking, Power backup, Gym and Swimming pool, 2 bathrooms fitted with geysers, all rooms fitted with Quality Electrical appliances, Grilled balconies Easy access to Hosur road (0. Alcove service apartments in Bangalore is the most preferred Service Apartments for business and family stay. 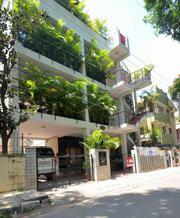 We offer Luxurious and budget service apartments across prime locations in Bangalore. Rent luxury service apartments in Koramangala, Indiranagar, Whitefield, Ulsoor lake and Marathahalli, Bangalore at an affordable price. Alcove service apartments in Bangalore offer luxurious serviced apartments, budget Service Apartments with all the facilities provided by hotels. Book Service Apartments in Bangalore. Alcove Service Apartments provides 150+ service apartments across India..
Commercial spaces available for immediate rent as below Shop – 200 sft Ground floor – 1000 sft First floor – 1100 sft 2nd Floor – 1100 sft Facing 60ft ring road btm layout (29th Main) – Connecting 100ft ORR & Bannerghatta Road Very close to Metro/BTM Bus stand. North – West Corner Property. 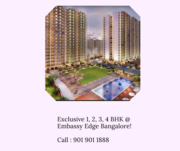 Find 2 BHK / 3bhk Apartment / flats for Sale in Kodigehalli, Whitefield, and luxury apartments in Near ITPL Main Rd, Hoodi, Shantiniketan, Bangalore at Affordable Prices. Bookings are Open Now! 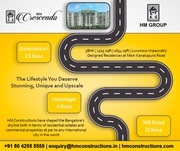 For More Details Visit at http://www.midtownraaga.com/. TRI – Woods Plantation Farm Stay is one of the first homestay established in Belur. Located 12 Kms away from Belur, and 16 Km from Sakleshpur the homestay is situated at a serene environment 900ft above the sea level. A destiny which is raw, untouched and unexplored is a life time experience for every admirer of true Nature. Work in style comfortably @ COMFORTWORK TECH PVT LTD Plug n play office space to enhance productivity, innovation and work culture.... Virtual Offices, Co-working space, meeting / conference room, cabins... Flexible workspaces made simple Super fast Internet Coffee Business-class Printers fully. 2 BHK Flat available for rent in Prestige Sunrise Park Electronic City Phase-1, Rental Price Rs:23 to 25k including maintenance 1128 Sqft area with Amenities offered-Aerobics/Yoga Room , Health Club , Super Market , Badminton Court , Indoor Games , Swimming Pool , Billiards, Mini Theatre , Table Tennis , Children's Play Area , Multipurpose Hall , Tennis Court , Gymnasium & Squash Court . Sekhar Developers is a property development company established by Mr. Sekhar DV in 2004, with one motive ‘to create better living spaces at affordable prices’. Starting its operations at a modest office in Bengaluru, today it has grown exponentially into a company with diversified portfolio of business. I am offering a single room (without kitchen) on a single occupancy/sharing basis for rent in BTM Layout 2nd Stage area. Please call me, Shankar, at 080-26681102 for more details. Thanks and regards, Shankar. Spacious 3BHK Apartment(Pool facing) at Marathahalli for Rent Apartment Description: Semi Furnished (pool facing) 3 bedroom appartment(3rd floor). Fresh Air, daylight on all rooms. 1730 SqFt area + dedicated car parking. 3 bedrooms, 2 balconies(one pool facing), Spacious living room, Fully furnished modular kitchen(water purifier provided), 3 bathrooms(all provided with Geysers). Vivansaa Aurigaa is a BMRDA approved project situated in the most lucrative area, offering ready to occupy flats in Sarjapur Road Bangalore. Being a fast-developing part of Bangalore, it has ideal connectivity to other IT-centered areas like Whitefield, Electronic City, Koramangala, Outer Ring Road, and Marathahalli. 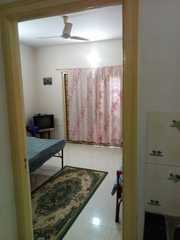 Furnished 1 bedroom hall kitchen available for Rs.10, 000 p.m. with three months rent as refundable deposit. F No brokerage – fully furnished with TV, Fridge, bed, wardrobe, geysers, fans etc In gated society – completely independent 1 bedroom hall kitchen Walkable to coffee shops, hospitals, ATMs, super. Property Management Services Bangalore Looking for best property management service in Bangalore, India? 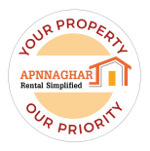 Apna Ghar offers best rental management services in Bangalore for NRI. Embassy Edge has been designed for the world’s new outlooks. 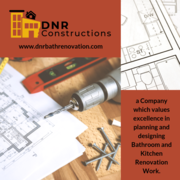 Buy 1, 2, 3, 4 BHK flats at Devanahalli, bangalore at affordable prices. Get details like Floor plan, Price, location and book site visit..
Vivansaa Baalsam is a villa project redefining class that offers row houses for sale in Sarjapur Attibele Road Bangalore, designed with desirable magnificence and built to augment privacy and space. It is a well-organized structure surrounded by free-flowing spaces and scintillating club house, making it the optimal ambience to attain tranquility. Excellent return on investment, Sites available for sale at Anekal , close to TAAL AIRPORT. 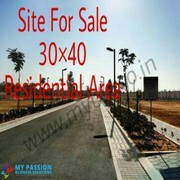 We have both 30*40 and 30*50 sites available for sale at the best price is 6.5 lakhs. We provide loans upto 80% of the property here. It’s E-KHATHA PROPERTY, GRAMATHANA, It’s a total 200 acres project and free 10 years resort membership provides. India ads for For rent, Karnataka, For rent free ads Karnataka, For rent for sale Karnataka, For rent to buy in Karnataka. This page is a classified ads listing for For rent Karnataka. This listing includes classifieds for sale and to buy in Karnataka. If you posted an advertisement on For rent, Karnataka before please use Edit my ads button to change or cancel your ad. For rent Karnataka ads Karnataka, For rent classifieds Karnataka, For rent free ads Karnataka, ads for sale Karnataka, ads to buy Karnataka, FREEADS in India. Find here ads for sale, to buy and rent in Karnataka. Goods for sale in Karnataka, vehicles for sale in Karnataka, Karnataka real estate for sale, Karnataka property for sale, property for rent in Karnataka, business ads in Karnataka, Karnataka business classifieds, services in Karnataka, Karnataka services ads, jobs in Karnataka, pets for sale in Karnataka, Karnataka dating, Karnataka cars for sale.